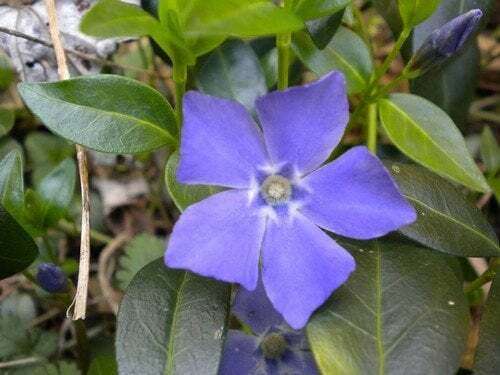 The common periwinkle flower, also known as vinca or myrtle, is most often grown as a ground cover and works exceptionally well as an erosion control specimen. It gets its name from the striking blueish-purple blooms that appear on the dark green foliage in mid spring. Vinca plants are low to the ground and compact with a tenacious root system, which is what makes them work so well for erosion control. They typically grow 4″ – 6” tall and a single plant can spread up to 8’ across. The arching stems of the plant will root wherever they touch the ground. Periwinkle grows well in USDA zones 4-9 – which encompasses most of the continental United States – and prefers slightly acidic, well-drained soil. 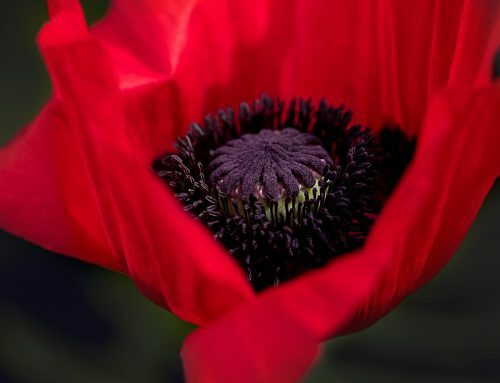 In the Northern most zones where climates bring colder winter weather, it is grown solely as an annual plant and needs to be replanted every year. In warmer climates it grows exceptionally well as a perennial plant. Periwinkle plants prefer partially to fully shaded garden spots to keep their growth low and dense if they are to be used as a groundcover. Periwinkle can be grown from seed, or propagated from stem cuttings. The fast growing plant generates new roots quickly when taken as a cutting. To establish new plants though – especially in areas where periwinkle is grown as an annual – it may be easier to start them from seed than to overwinter plant cuttings for planting in the spring. Sow seeds after the danger of the last frost has passed; this will vary depending on your hardiness zone and latitude. Periwinkle seed is extremely light so it’s best to mix seed with builder grade sand when sowing to improve the seed distribution. Water newly planted seed well and keep the soil damp until seeds germinate in 2-3 weeks. 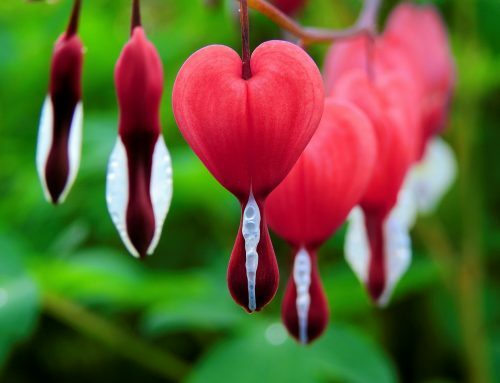 Mature plants should be established 3-4 months after planting. One of the benefits to growing periwinkle is that it requires very few inputs, thus making it incredibly easy and desirable to grow. After seeds have germinated, the plants are considered drought tolerant and need very little water for growth. They will grow well if watered in a garden setting if the soil drains well. Over watering can lead to yellowing leaves and poor looking plants. Fertilize plants with a complete, balanced fertilizer in the spring to encourage a jump start in growth and then every two months during the active growing season. Occasionally shear plants off close to the ground to encourage new growth. There are few pests that affect periwinkle plants, adding to how simple they are to grow in a garden or landscape. In the summer months aphids may become a concern. Spray infected plants with a heavy spray of water to knock them off, or apply an insecticide such as neem oil if absolutely necessary. 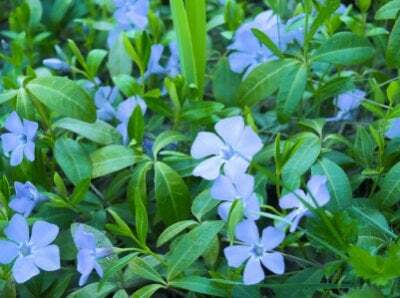 With little care needed, periwinkle plants make a great groundcover option for most areas in the United States. The characteristic bluish-purple flowers add a pop of color to the landscape while the tenacious root system helps to prevent soil erosion.